Earlier this month, the PCN Head Office was visited by ISOZert as they carried out ISO 9001 Quality Management System and ISO 14001 Environmental Management audit inspections. Renewal of the certifications require continual development and improvement of business processes and we were delighted to pass with flying colours! It was particularly important for us to renew the ISO 14001 certification as part of our on-going commitment to minimise environmental impacts and as many of our Members are working in the renewable energy field. These certifications give us the assurance that we have an excellent foundation to carry building on and confirm the continued progress of our international network. INTERESTED IN ISO CERTIFICATION FOR YOUR COMPANY? We encourage Members to incorporate the above certifications into their own future business plans. 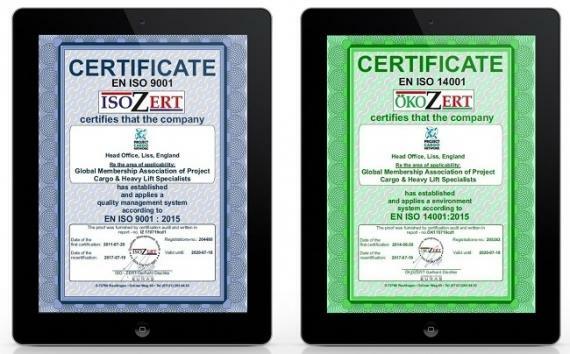 Our affiliation with ISO-ZERT enables Members to obtain ISO certification at attractive rates. Please see www.isozert.de or contact Christian on christian.dischke@isozert.de for further details.